New Polaroid Series 6 4K TVs launch this month | What Hi-Fi? Polaroid has announced its new Series 6 range of 4K UHD TVs will be available exclusively via ASDA. 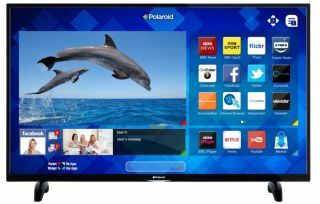 The range will run from 43in to 65in screen sizes and, in a first for Polaroid TVs, will feature Freeview Play with all its on-demand content. Further flexibility comes in the form of smart TV apps including Netflix, Amazon, YouTube and Spotify. With three USB sockets, four HDMI ports and that 4K resolution backed up by online functionality, specification looks to be on the money. And speaking of money, if previous Polaroid models are anything to go by we're expecting pricing of the Series 6 to be competitive in the extreme. The Polaroid Series 6 range goes on sale on April 22nd.